Ildikó Csépes (lead TALE researcher) is a senior lecturer and teacher trainer at the Institute of English and American Studies of Debrecen University, Hungary. Her main research interests include foreign language testing, classroom-based assessment and second language acquisition in formal contexts. She has participated in national testing projects (e.g. the Hungarian Examinations Reform Project of the British Council). For 10 years she was a member, and for six years the chair, of the Hungarian Accreditation Board for Foreign Language Exams. 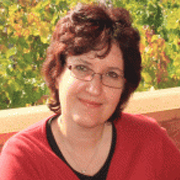 Adrienn Fekete (TALE researcher) is a lecturer at the Department of English Linguistics, University of Debrecen. She gained her MA degree at the same university. Her main interests include developing and assessing intercultural competence, teaching culture in the English classroom,the acculturation process, developing language skills.